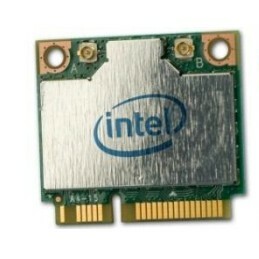 innovations, the Intel® Dual Band Wireless-N 7260 reshapes your connected experience at work, home or on the go. Delivers up to 300 Mbps speed with dual streams (2x2) for better performance and connectivity in more places, through more walls, doors and floors. Use the power of dual band 5GHz to boost speeds and reduce congestion compared to older 2.4 GHz networks and devices. Single sided HMC and M.2 modules support multiple connectors for flexible system configuration and platform usages. The new M.2 form factor delivers a smaller, lower profile, more flexible form factor for thin-and-light UltrabookTM, notebook and tablet designs. Watch your PC or UltrabookTM content instantly without wires on the big HD screen with stunning image clarity and sound. Intel® Wireless Display gives you a serious entertainment upgrade. Stream movies, videos, games, photos, connect with friends, and more—experience it all, bigger and better than ever before. Stay current with automatic, no-wait updates to your email and social networks, even when your device is asleep. Combine it with Intel® WiFi HotSpot Assistant and automatically connect to millions of free and paid hotspots to refresh your content in more locations worldwide. Delivers instant Internet connectivity at millions of free and paid hotspot worldwide. After accepting a one-time only terms and conditions (T&C) login, your Internet connections are on auto-pilot as you roam the Wi-Fi hotspot universe—even as your UltrabookTM sleeps. Combine it with Intel® Smart Connect Technology and your favorite cloud content (email, social networks, news, etc.) is automatically refreshed as you roam. Supports Intel’s hardware-based security and management features built into Intel® CoreTM vProTM processors and chipsets that enables IT to manage PCs virtually anywhere, anytime while reducing deployment costs, improving security and ROI. Using integrated platform capabilities and popular third-party management and security applications, Intel® AMT allows IT or managed service providers to better discover, repair, and protect their networked computing assets. Intel AMT is a feature of 3rd generation Intel® CoreTM processors with Intel® vProTM technology. Combines simplified user interface design with advanced IT tools to improve security, reduce complexity and save IT time and money. Streamlines client deployments and allows remote management of wireless settings and profiles by IT managers. Enables seamless Wi-Fi indoor location service capability for employees to see campus maps with reference to their location, locate the nearest resource (printer, conference, room, elevator, etc. ), or for asset tracking.